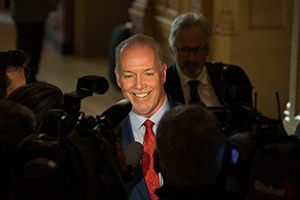 To further advance enhanced trade and consumer choice, Premiers also task their responsible ministers to, where feasible, move forward with work to: improve information and transparency in pricing and listing practices and enhance or develop e-commerce platforms within local markets. 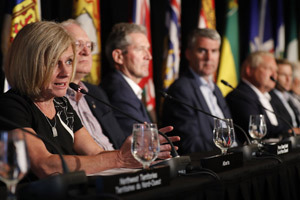 Premiers directed Ministers to consider options to increase consumer choice and access to alcoholic beverages, and ensure any proposed changes be done in a socially and fiscally responsible way. Provinces and Territories are committed to ongoing collaborative work to support trade and investment across the country. The financial services sector, which is currently outside the CFTA, represents 6% of Canada’s GDP. 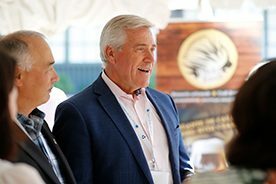 To this end, Premiers directed provincial and territorial trade Ministers to continue exploratory discussions towards bringing the financial services sector under the CFTA, in a manner that offers each Province and Territory the same or better treatment Canada offers its international trading partners. 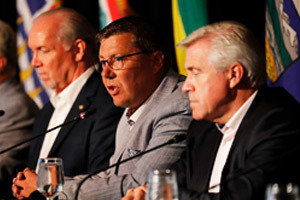 In light of the economic uncertainty their governments are facing from abroad, Premiers have also directed provincial and territorial trade Ministers to actively promote the CFTA in order to strengthen and increase trade within Canada, promote the emergence of integrated Canadian supply chains, and ensure that manufacturers are more aware of Canadian suppliers. 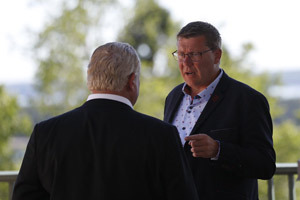 Premiers welcome the Prime Minister’s acceptance of their proposal for a meeting of First Ministers to take place this fall. Premiers agree these discussions will focus on the economy and in particular addressing productivity, competitiveness and improving trade.